belmont donates bikes at University in Nashville, Tenn. September 8, 2017. 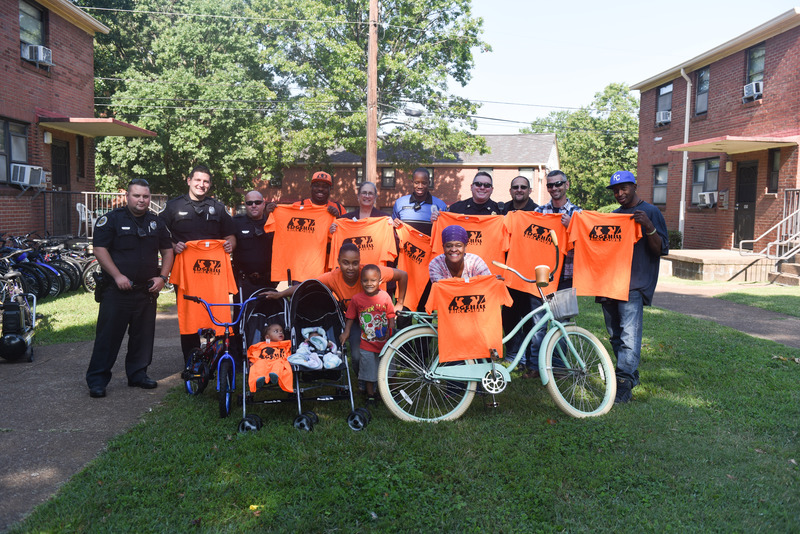 Belmont Campus Security, in partnership with Residence Life and Facilities Maintenance Services, recently donated 45 bikes to the Edgehill Bike Club, an organization in the Edgehill neighborhood that aims to provide free bicycles to local children. The partnership has been in place for two years, and this year’s donation is the largest yet. Security gathers the donation by collecting abandoned or forgotten bikes from racks across campus at the end of the summer. After sending out several notifications to current students in an effort for bikes to be reclaimed, the team donates the ones that have been left behind to the Bike Club.